Just as we identified the symbolic meaning of the carousel and the merry-go-round (see part 3), we shall now divine the meaning of the ferris wheel. financial backing from private investors. The idea succeeded and made a lot of money. died too destitute to cover the cost of his own funeral. Items 1-3 set up the perfect capitalist success story. If Gale [Ferris] had fared as well as Gustav [Dentzel], item 4 would be about him enjoying the prosperity and rewards he so richly deserved. I won’t argue that real-world capitalism often works out something like the actual item 4 above. That’s why there are so few investors, so many lawyers, and welfare. When dealing in symbolism and propaganda, however, it is the ideal that matters. For the Ferris Wheel to represent capitalism, the story would need to align better with the ideal version of capitalism—not it’s substantive implementation. There is no question that the birth of the Ferris Wheel was intimately connected with the World’s Fair. Ferris, or perhaps even somebody else (! 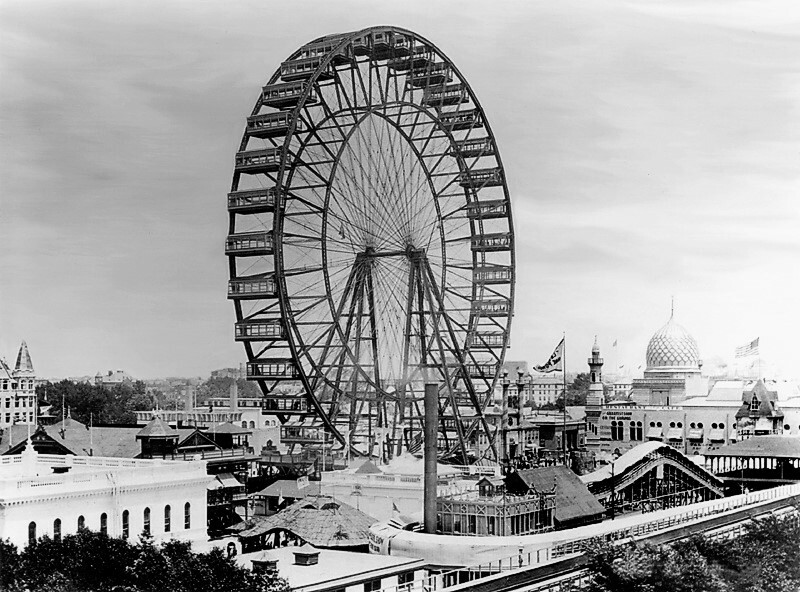 ), probably would have built one sooner or later, but the first Ferris Wheel was commissioned and constructed for the Columbian Exposition of 1893. 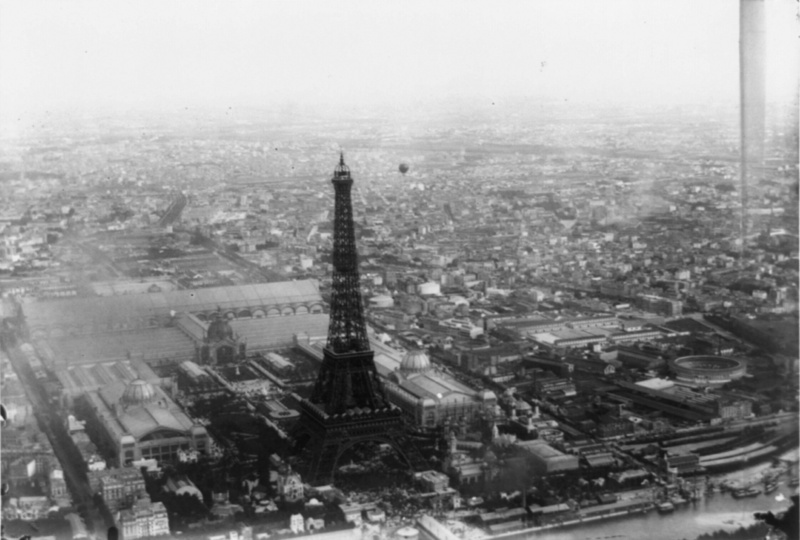 Furthermore, the planners made no secret of their intent to best the French, whose 1889 Eiffel Tower loomed across the Atlantic like a thousand-foot-tall middle finger. The Ferris Wheel was birthed in open and notorious oppposition to the Eiffel Tower. But Gustave Eiffel’s tremendous erection was also a symbol, a monument commemorating the 100th anniversary of the French Revolution. We Yanks choose July 4th to celebrate our independence from imperial rule. The signing of the Declaration of Independence is the symbolic event we celebrate, even though most of the process of attaining and defining our independent sovereignty took place after July 4th, 1776. Similarly, the French choose July 14th to celebrate their political exodus from monarchic absolutism and subjugation to the clergy and nobility of the First and Second Estates. The triumphant storming of the Bastille is celebrated as the symbolic beginning of the French Revolution, but I assure you there was plenty of head-chopping-off that took place after July 14th, 1789. The glorified goings-on of that fateful day were largely symbolic in nature; only seven souls were locked up in the Bastille prison fortress at the time. The Tennis Court Oath is perhaps a better analog to our signing of the Declaration of Independence . . . but the storming of the Bastille is way cooler. Moreover, Bastille Day represents the uprising of the modern nation, the first steps on the road to the French First Republic. 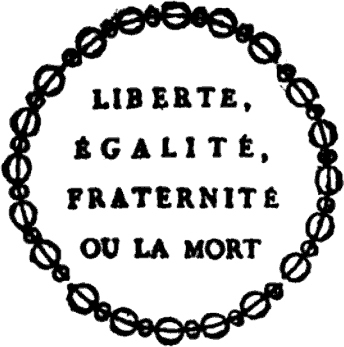 “Liberté, Egalité, Fraternité, ou la Mort” (Liberty, Equality, Brotherhood, or Death!) was their rallying cry. Sacrebleu! those guys were full of pisse et de vinaigre, non? As it turned out, however, there was a little too much of the mort and not quite enough of the liberté, egalité, fraternité. You don’t have to be a history buff to figure that the ensuing “The Reign of Terror” probably wasn’t a watershed moment for the whole liberty, equality, brotherhood crowd. The famous “Thermidorian Reaction” sounds a bit tamer, but didn’t really get things back on track so much as stop the bleeding—ironically, with 22 strokes of the guillotine on July 28th, 1794. Unless you use a really, really old French calendar, you might think the Thermidorian Reaction was some famous chemistry experiment on heat transfer. Understandable. Or maybe you DO use a really, really old French calendar and thought that Ms. Thermidor, due to some sort of swan allergy, developed a rash on her left sein after her calendar photo shoot. An honest mistake. 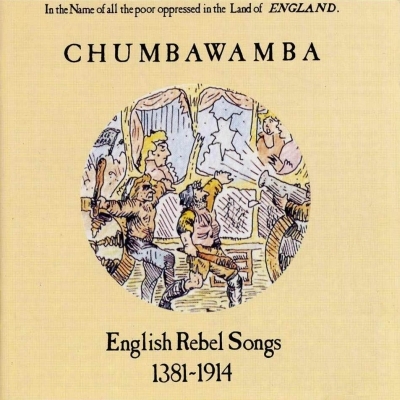 But if you fancy yourself an expert historian regarding revolutionary movements, you should know that the events of 9 Thermidor, Year II (July 27th, 1974) and their fallout serve as the model for the revolutionary Thermidor: a period where the pendulum of power swings away from the radical revolutionaries and back towards a more conservative group. Sometimes it swings so far back that things are worse than they were before the revolution. Take Stalin, for example. Trotsky did, when he wrote about Stalin as the Soviet Thermidor in the 1937 book “A Revolution Betrayed.” Then again, Trotsky was killed by a soviet assassin with an ice axe. So perhaps don’t take Stalin for example. Eventually a short, complex guy came along and took the reigns, scrapping the republic in favor of the empire. Yes, a step backwards on the road to the modern nation and all that—but he got the French to stop killing each other and start killing the various people groups of Europe. Things were going pretty well until he fell victim to the first classic blunder (see part 2 for enumeration of the classic blunders). Poor little guy. But I digress. As shown by the dedication of a thousand-foot iron erection in 1889, a century marred by imperialism and monarchy did nothing to tarnish the iconic grandeur of the storming of the Bastille. 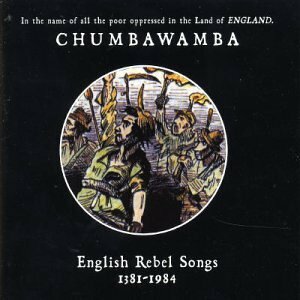 The spirit of freedom, after all, is chumbawamba-like in nature: [she] gets knocked down, but [she] get[s] up again; you ain’t never gonna keep [her] down. If the Eiffel Tower represents the French Revolution, it represents opposition to king and empire. It is anti-imperialist. But we have already established that the Ferris Wheel represents opposition to the Eiffel Tower! It is anti-anti-imperialist; which simplifies, of course, to: imperialist. That’s right. The Ferris Wheel represents Imperialism. Let that soak in for a moment or three. Then come back for part six. admittedly english (not french), and bereft of bare bosoms . . .
You can read more about the band, or check out their website. 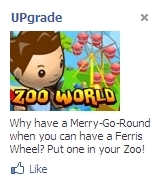 This entry was posted in facebook ads, zoo world, zw2: reign czech and tagged bastille day, breasts, brotherhood, capitalism, chumbawamba, classic blunder, death, eiffel tower, equality, ferris wheel, french revolution, george washington gale ferris jr, guillotine, imperialism, independence day, joseph stalin, leon trotsky, liberty, napoleon bonaparte, thermidor, world's fair, zoo world by Hank. Bookmark the permalink.